November 10, 2016 June 14, 2018 Posted in What's on Netflix?Tagged 90's, 90's TV, Netflix, Netflix TV, Rugrats, TV, What's on Netflix? Anyone in the 90’s will remember this cartoon gem; The Rugrats. First aired in August 1991 and, after nine seasons, the last episode aired June 2004. 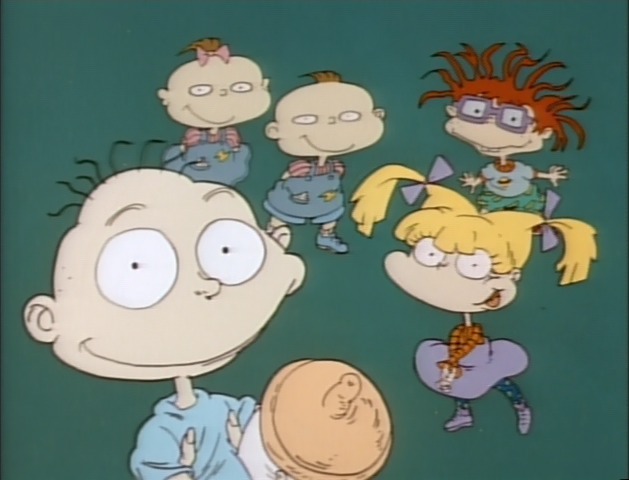 A total of 172 episodes on Tommy’s adventures with friends Chuckie, twins Phil and Lil, bratty Angelica and the calm Suzi. With hilarious episodes such as Season 1’s “Stu-Maker’s Elves”, “Incident in Aisle Seven” and “The Mysterious Mr. Fiend”. Sadly, only the third season of Rugrats is available on Netflix. We’ll have to patiently wait for the other eight seasons!